Thank god for the internet. Whatever else the internet may be it is definitely our species collective memory from now on forward. A visual and virtual archive of riches from the trivial to the earth-shattering. And on any given night, the internet provides a stroll down memory lane for a cinefile in love with leading ladies like myself. And that’s where Miss Ross comes in. I refuse to believe this fresh-faced, doe-eyes waif of a gorgeous woman is celebrating her 73 birthday this year! Katherine will always be one of the true beauties of the cinema and a goddess of the 60’s and 70’s when her look defined a generation. 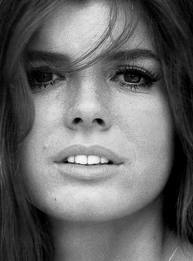 To me she defined the wholesome, bright and independent women who were emerging out of the 60’s sexual revolution. Her role in The Graduate opposite a very young Dustin Hoffman is only one example of Katherine embodying the changing attitudes and social morays that defined her generation – and subsequent generations to come – in trying to find their place in the world. But I wasn’t part of her generation. 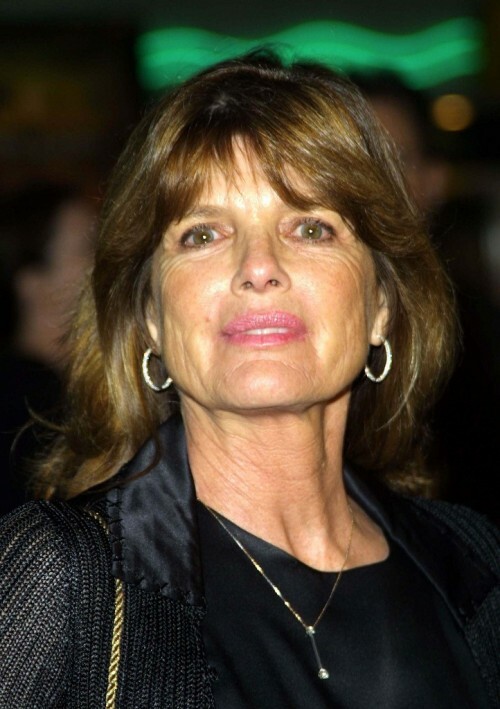 I came later and experienced Katherine Ross on a different, much more primal level. By the time I caught up to her, I was watching her visage on a tiny (we’re talking 20-inch screen) color TV. All I saw was a ravishingly-beautiful woman so photogenic that she appeared to glow from within. So beautiful, that I instantly wanted to know more about this person – way before the internet could make that instantaneous. 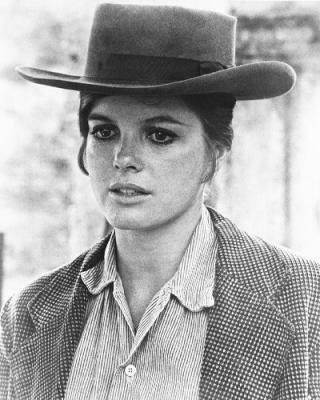 My first blush with Katherine was Butch Cassidy & The Sundance Kid. A classic by any measure and one that captured Paul Newman, Robert Redford and Katherine Ross at the height of their physical and creative powers in a modern western fantasy. A fantasy in large part because of Katherine’s shear magnetism, magnified by her two leading men. Check out the “Raindrops Keep Falling on My Head” scene with Paul and Katherine, a bicycle and a bull and tell me it doesn’t immediately put a smile on your face. The beauty of that filmic moment plays on in the mind like an amber-hued echo, no matter how old they were when they first saw it. Katherine wore a cowboy hat better than any cowboy ever could! Of course, the true testament to a movie star will always come down to talent, no matter how beautiful and photogenic they are. 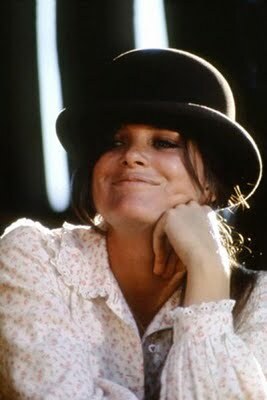 Katherine Ross is a perfect example of this because her range was not limited to one specific genre. Name an actress who had a smash hit in a coming-of-age hit, a western and then segued to a sci-fi romp that would inevitably riff off the stereotype of beauty with no soul: in this case, men who replace their beautiful wives with beautiful, doppelganger robots! 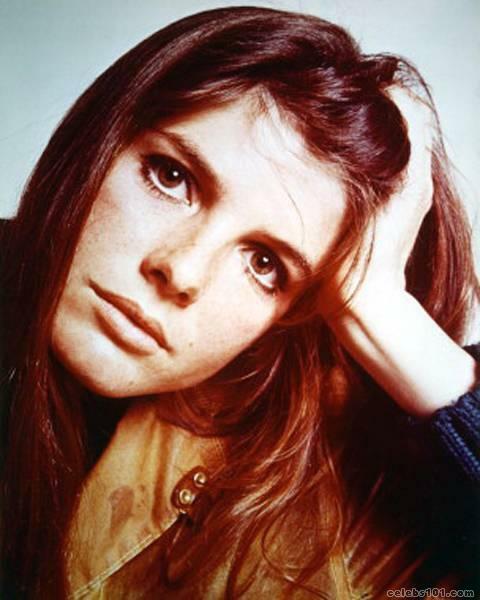 It’s perfect casting because Katherine Ross is perfect. Perfect in that her beauty could easily be her defining trait, but also in that there is much more below the surface. “The Stepford Wives” is one of those films that stands up over time because of a visual sensibility and because the casting was the best special effect so they didn’t muck it up with stupid effects. And Miss Ross is perfect in the role of a woman trying to break the ’70’s stereotype of a woman so beautiful that she must not have brains and talent and right to a life of her own. But most of all, the film is watchable by today’s standards because Katherine is so watchable. Because she elevates the material beyond the mediocre like only a true movie star can transcend time and space and make a connection to their audience, even decades later. 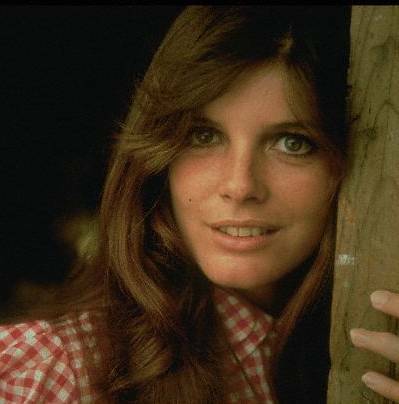 And there’s my cue for Katherine Ross’s greatest quality: Timeless Beauty mixed with a tinge of sadness. Her eyes convey a soulfulness but also a certain melancholy that magnifies her outward perfection. Her stare is one of the best I’ve ever seen. It conveys (at least to me) that she wants to be respected, understood, loved and not trifled with. Projection, of course – but isn’t that what an actor at the top of their craft do with a single look? Capture and reflect back our own nature like a mirror for the soul? Katherine did this for her own generation and has been doing it ever since for those who see in her a collective sense of loss. Loss of meaning as in The Graduate, loss of the men she loves in Butch & Sundance; loss of our very humanity in The Stepford Wives. In each performance, Katherine embodied a character in the process of loss. And she did it so effortlessly that sometimes people forget what an amazing actress she was in addition to being a beauty for the ages. Katherine will always hold a special place in my heart from the days I first met her on that tiny little color TV. For me, she’ll never grow old but stay young and vibrant in the collective memory of several generations of moviegoers. Oh, and by the way – she’s still hot today at 73! !